Sending out a strong message that tourism in the flood-battered Kerala will be back on the rails in double-quick time, Kerala Travel Mart (KTM) will hold its biennial meet in Kochi from September 27-30. Being held in the wake of the devastating floods, the tenth edition of KTM will focus on measures that would lead to a strong resurgence of tourism, which is the mainstay of Kerala’s economy. The inaugural session of the four-day event, being organised by the KTM Society in association with the state tourism department, will be held at Grand Hyatt Kochi Bolgatty on September 27. In the next three days, a series of buyer-seller meets, seminars and policy deliberations will take place at Samudrika and Sagara Convention Centre at the Willingdon Island. “The response to this edition of KTM has been overwhelming with 395 overseas buyers and 1,095 domestic buyers having registered as participants. The complete list of participants for the buyer-seller meet will be released on September 10,” said Baby Mathew, President, KTM Society. KTM will serve as a strong platform to showcase its time-tested as well as new products of Kerala. The new products launched by the state government like the Malabar River Cruise project, focusing on nine rivers in north Kerala, will be showcased before the delegates. Kerala Travel Mart (KTM) Society has set up a task force to carry out the relief and rehabilitation work and support the huge task of rebuilding the lives of the flood-hit people of Kerala. As many as 28 organisations in the tourism sector have been brought under the ambit of this task force, which, apart from concentrating on the relief and rehabilitation works, will also focus on creating awareness on the need to contribute to the Chief Minister’s Distress Relief Fund (CMDRF) for the flood-affected people. The Task Force has already sent teams for the clean-up operations in various places and successfully roped in around 1500 people to carry out the relief and rehabilitation work in Munnar and nearby tourism spots. It has been decided that every organisation under the Task Force and its workers would give away their one day’s earnings to the CMDRF, Abraham George, Convenor, Task Force, said. “The relief work is going on in full swing and the members are doing an excellent job under the guidance of Baby Mathew, President, KTM Society and Chairman, Task Force,” George said. To start with, seven teams have been deployed for clean-up works in places like Paravur, Aluva, Chengannur and Munnar. ‘Agenda 9’, Kerala Travel Mart (KTM) Society’s new comprehensive nine-point charter, focuses on making Kerala a sustainable destination. It mainly calls for measures to tackle waste management, promote organic farming, efficient use of energy and extensive use of local produce and products. Other key areas which will come up for deliberations are rainwater harvesting, reducing the use of plastics and improving greenery. KTM 2018, to be inaugurated in Kochi on September 27, coincides with World Tourism Day. The opening ceremony will be followed by three days of business-to-business meetings. KTM has already received nearly 600 registrations in just five days after its pre-registration got underway. From the domestic buyers alone, KTM received 485 applications and 105 registrations from international buyers. July 28 is the closing date for the registration. 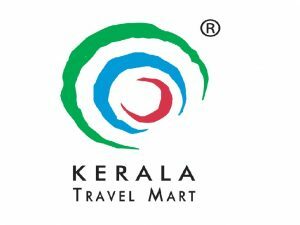 Baby Mathew, President, Kerala Travel Mart Society, said the huge initial response from buyers is a clear indication of a larger number of tourism stakeholders getting attracted to the stellar tourism gathering over the years. “Nearly 600 applications in five days is very encouraging. We are expecting a record number of registrations for this year’s edition,” he added. The ninth edition of Kerala Travel Mart (KTM) is set to be the biggest and farthest-reaching yet. The biennial event will witness 57 countries besides 20 Indian states during the three-day Mart, which is being organised by the KTM Society in association with the Department of Tourism, Government of Kerala on September 27, World Tourism Day, in Kochi. Ten countries will be represented at the Mart for the first time, with Mexico, Georgia, Japan, China, Chile, Greece, Iran, South Korea, Saudi Arabia and Botswana – markets as diverse as they are distant – all confirmed to participate. The 560 total international delegates registered for KTM 2016 features the biggest-ever contingents from 10 highly-prized traditional markets, including the US, Canada and Australia. Domestic participation too has seen an uptick, buoyed by aggressive marketing campaigns. Some 1,304 Indian buyers will participate this year. “The KTM has always emphasised the consistent identification of quality buyers in ever newer territories as much as retaining participation from conventional markets. With representation from 10 new nations this year, our efforts have borne fruit,” said Abraham George, President, KTM Society. “For KTM 2016, we have extended the prefixed appointment system to registered domestic buyers, which will help the business session be more effective for both the sellers and buyers. The focus is on emphasising quality of interactions,” he added.